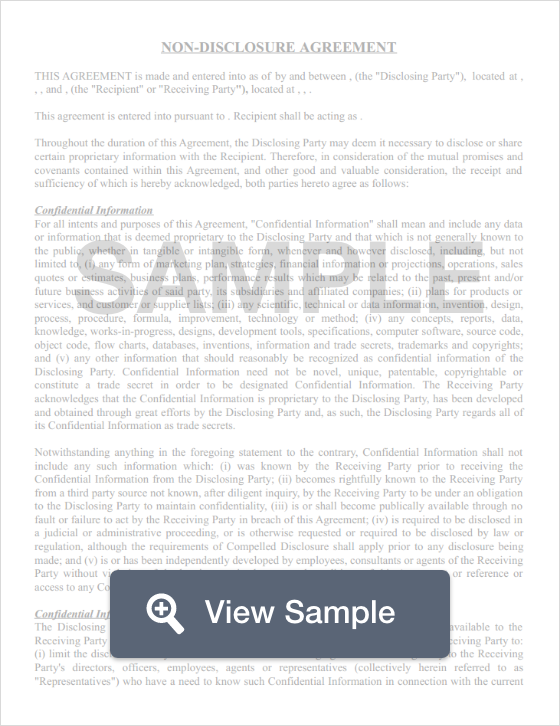 What is a Hawaii Non-Disclosure Agreement? Hawaii Non-Disclosure Agreement: What Is It? A Hawaii non-disclosure agreement is most commonly used to protect trade secrets. This means a under state law, a Hawaii non-disclosure agreement would cover formulas, patterns, techniques, and processes that create an economic advantage since they're not known by the public. Reasonableness is the key to the enforceability of a Hawaii non-disclosure agreement. Hawaii has specific laws that regulate NDAs and trade secrets: Haw. Rev. Stat. § 482B (2013). 482B-2 (2013). It specifically states that a trade secret is “information, including a formula, pattern compilation, program, device, method, technique, or process…” The trade secret must be capable of providing potential or actual economic value. It cannot be information that is known by the general population. It also may not be something that others within the industry could easily discover. The company must take reasonable steps to keep that information secret. Hawaii non-disclosure agreements should be reasonable in scope when it comes to how long they last, what they restrict, and the involved geographical location. Non-disclosure agreements are best used with Hawaii non-compete agreements. However, a non-compete agreement may not be used for any business. The law has certain restrictions on the industries or types of employees / contractors.